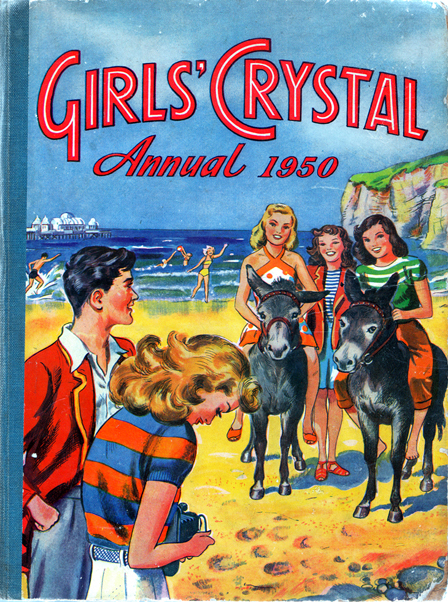 Girls' Crystal Annual 1950 – Elise Probyn, Doris Brookes, Enid Boyten, et al. Author: Elise Probyn, Doris Brookes, Enid Boyten, et al. Description: Consists of 15 short stories (including The Sports Coach She Mistrusted, Min Yo's Exciting Birthday, and The Dancing Girl's Talisman); plus two additional ones presented in the form of b&w comic strips: The Mystery of the Museum and Scottie and the Dog-Thief. 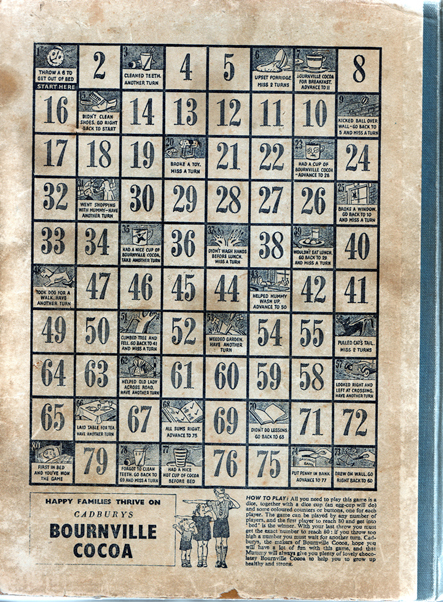 Also includes a maze with a dot-to-dot puzzle (the latter lightly attempted in pencil), and a crossword (untouched). Illustrated throughout with lovely b&w drawings (a handful of which are full-page). Contains one excellent, yet uncredited, colour frontispiece. Pictorial boards with blue cloth spine. Minor wear to covers (refer to both images). Front hinge slightly cracked at the top, but all pages remain firmly in place, with no intention of coming loose. The first and last few pages are lightly foxed, otherwise all are in excellent, unmarked condition with only a hint of tanning. Enid Boyten is not a misspelling of Enid Blyton, but rather the pen name used by Horace E. Boyten. More information about H.E.B. and the subsequent lawsuit filed against him by Ms Blyton's solicitors can be found here.